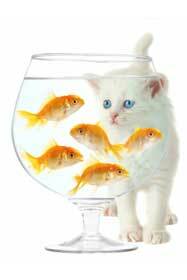 Snowshoe Cat Breeders Directory - O Kitty! Traditional Siamese, Balinese, and Snowshoe kittens raised in our home. We breed rare Snowshoe kittens and have various bloodline stud cats. 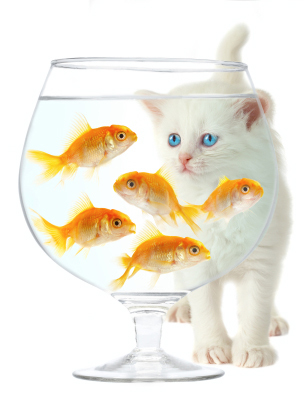 Our cats can be shipped internationally to suitable homes. GCCF registered. Reared in caring family home. Excellent bloodlines. 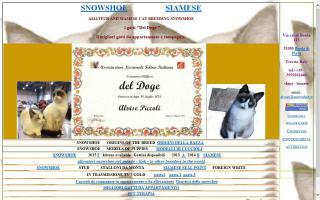 Allevamento amatoriale gatti di razza Snowshoe. Breeders of CFA traditional applehead Siamese, Balinese, and ACFA Snowshoe cats. I am a small hobby breeder of snowshoe cats. 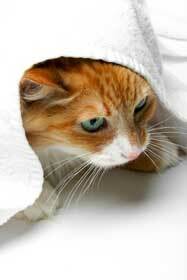 All kittens are raised in our home and are vaccinated, well socialised, and registered before they leave. 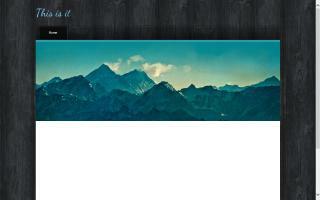 As of February 2011, we have one Snowshoe stud, and we looking for a Snowshoe princess - seal point. Breeder of home bred Snowshoe and Old Style Siamese cats. Family friendly and full of cuddles. Bombproof kittens who are full of fun. Cats of distinction. One of Victoria's first registered Snowshoe breeders. Quality imported bloodlines. Pet kittens come desexed, vaccinated, microchipped, vet checked & registered with FCCV. 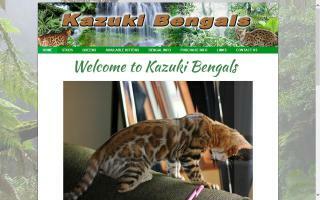 Show and breed quality kittens available by arrangement. 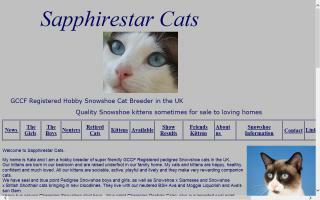 Registered Snowshoe breeder with imported UK lines. First kittens born end of 2011. All are home raised and sold desexed, vaccinated, microchipped, wormed, and vet checked. Currently breeding blue, seal, and chocolate Snowshoes.